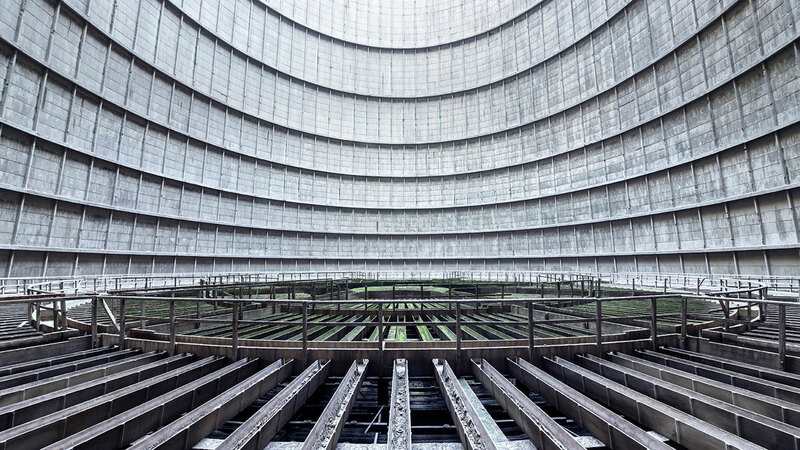 In an ongoing series, Belgian photographer Reginald Van de Velde explores the inner workings and mechanisms of cooling towers across Europe. 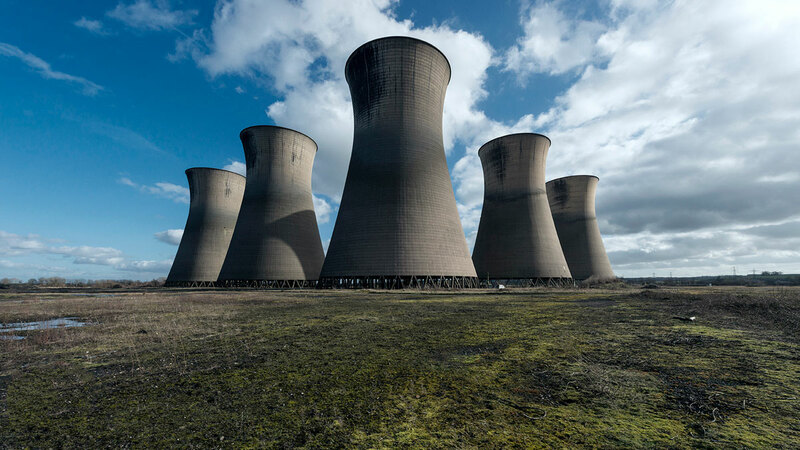 Capturing abandoned ones, active ones, decommissioned ones, towers on maintenance and ones slated for demolition. 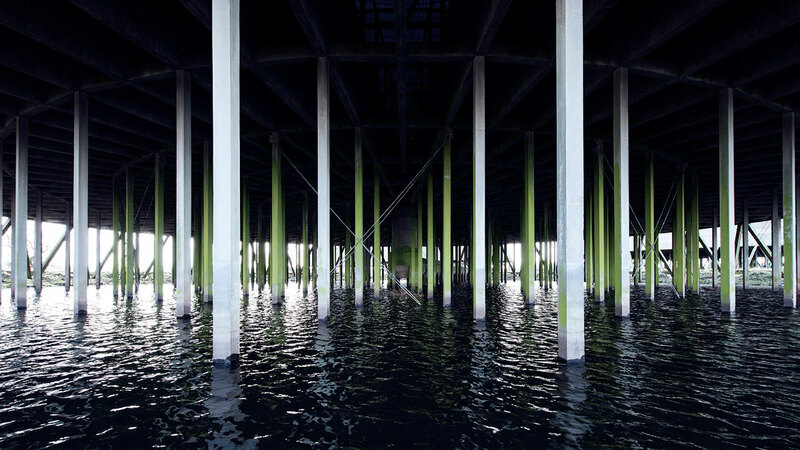 To see more amazing work from Reginald, check him out at the links below! 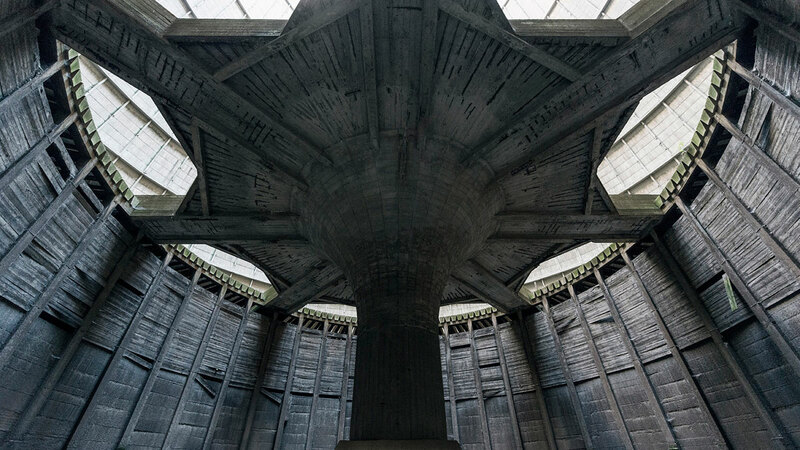 The impressive interior view of a giant cooling tower scheduled for maintenance, France. Unreal scenery resembling the set of a sci-fi movie. 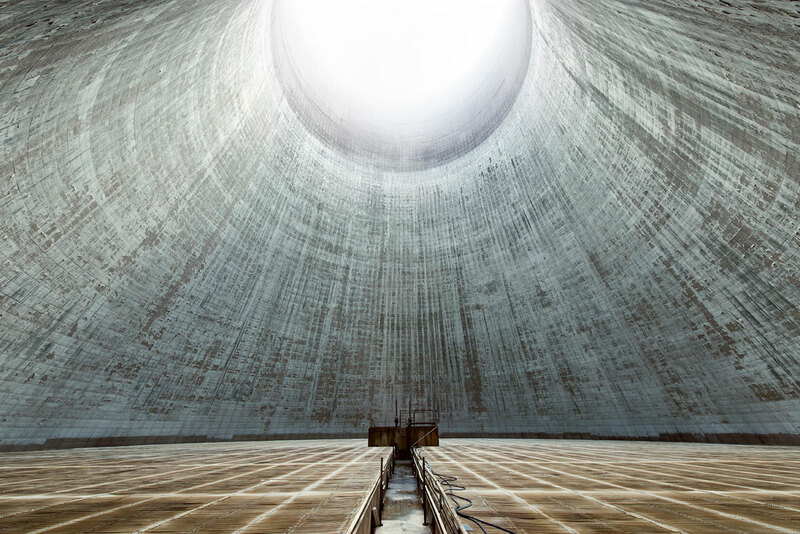 This is the view inside a defunct cooling tower in Belgium. 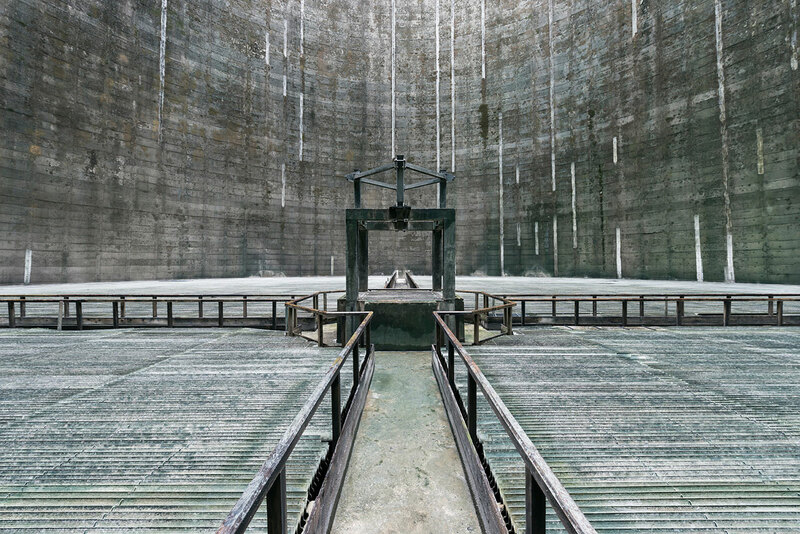 Slated for demolition, this cooling tower in Luxemburg features a clockwork-like design & layout. 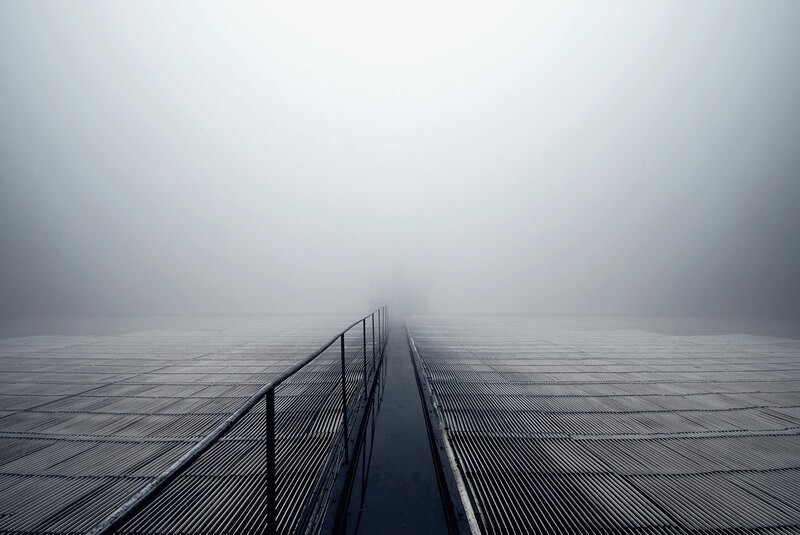 At a height of 15 meters these 4 catwalks connect a centered water and steam outlet that looks like a shrine. Germany. 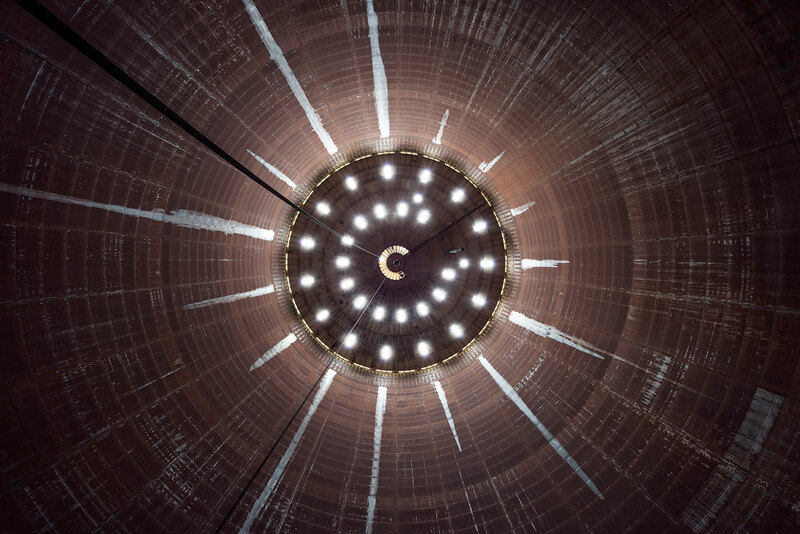 It could have been a set from the latest Star Wars movie, but this is as real as it can get: looking up inside the belly of a cooling tower. Belgium. 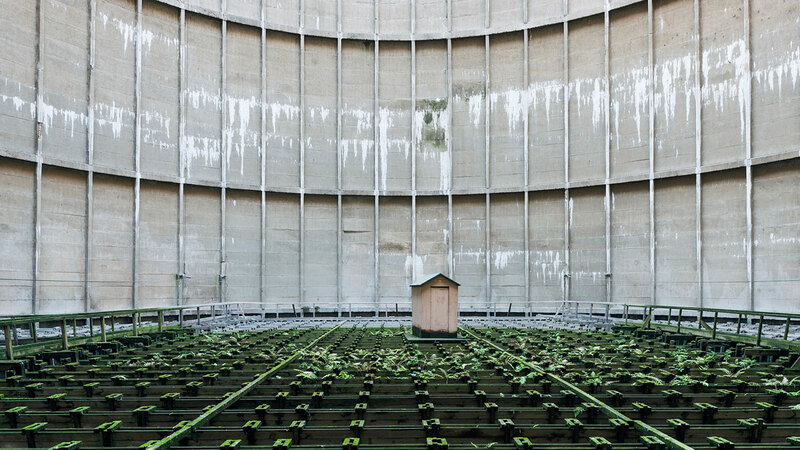 A booth sits otherworldly still amidst fern in this decommissioned cooling tower in Belgium. A water and steam outlet is positioned in the center of a vast array of thousands and thousands of cooling lamella, a technique used to cool down water particles. Italy. 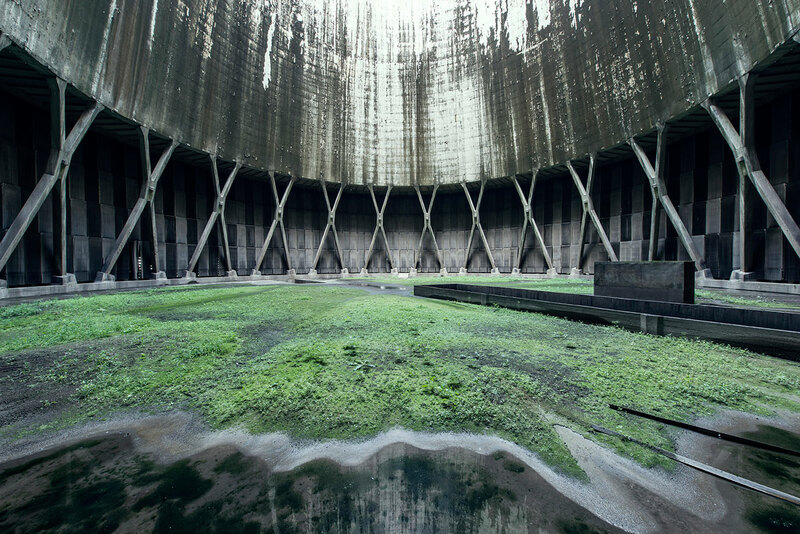 Vegetation is slowly taking over the bottom area of this cooling tower slated for demolition, Belgium. Covered in moss and algae these beams support the inner structure of a defunct cooling tower, UK. 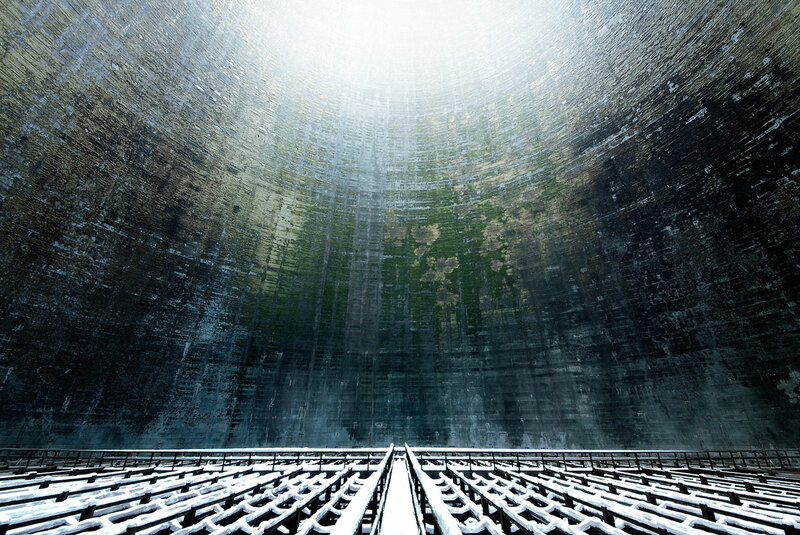 Winter Wonderland: snow particles piling up inside a defunct cooling tower in Belgium. 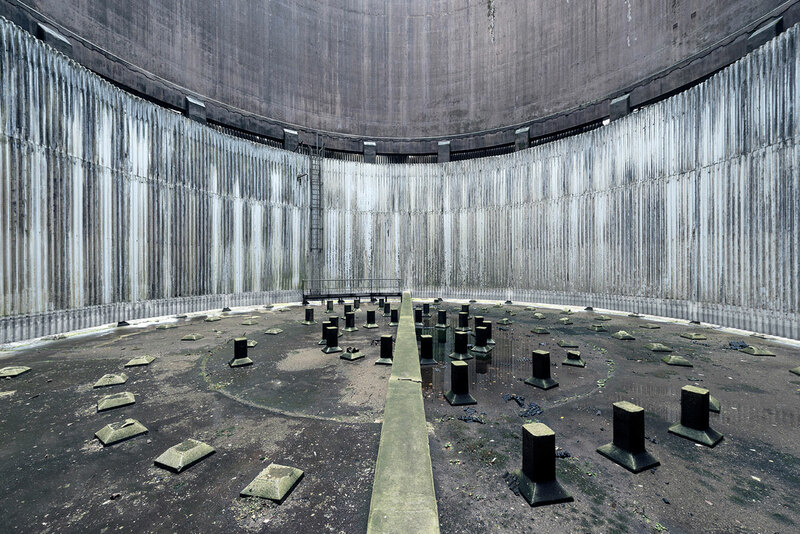 A decommissioned tower featuring a circular cooling system is seen in Belgium. 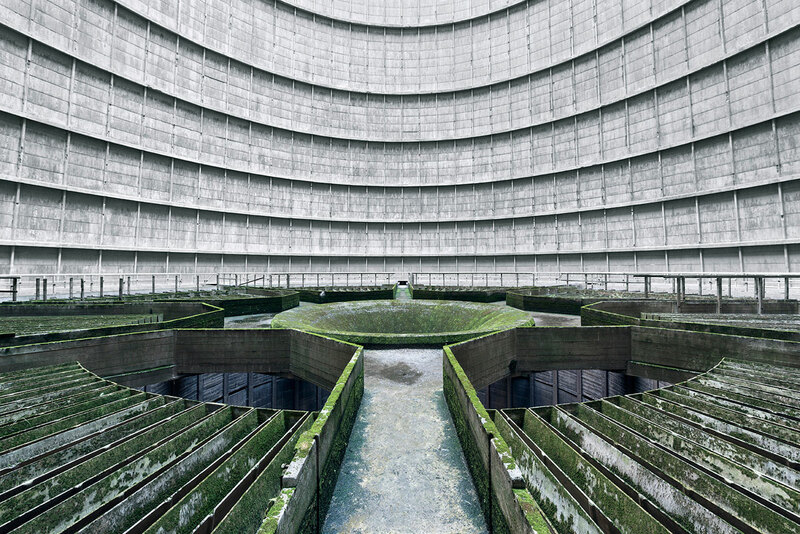 Another type of circular cooling system is seen in this abandoned cooling tower in Belgium. 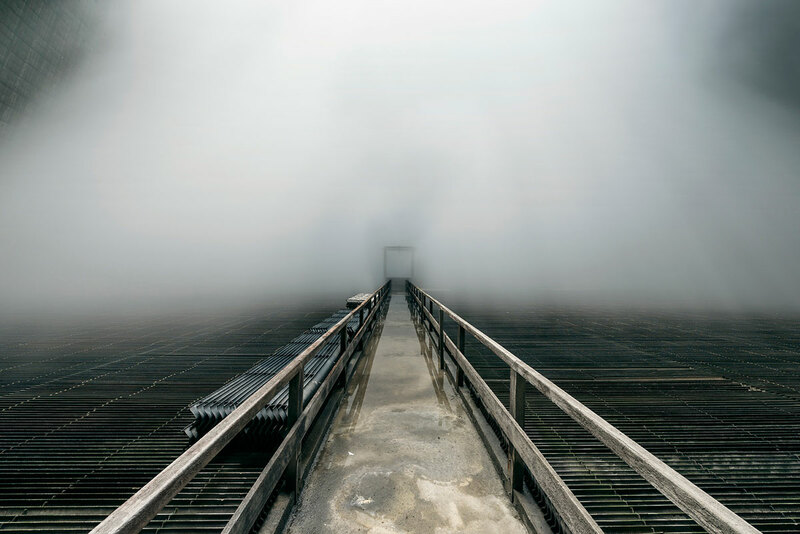 Passage to nowhere: a catwalk disappears into the warm moist air that rises from this active cooling tower, Belgium. 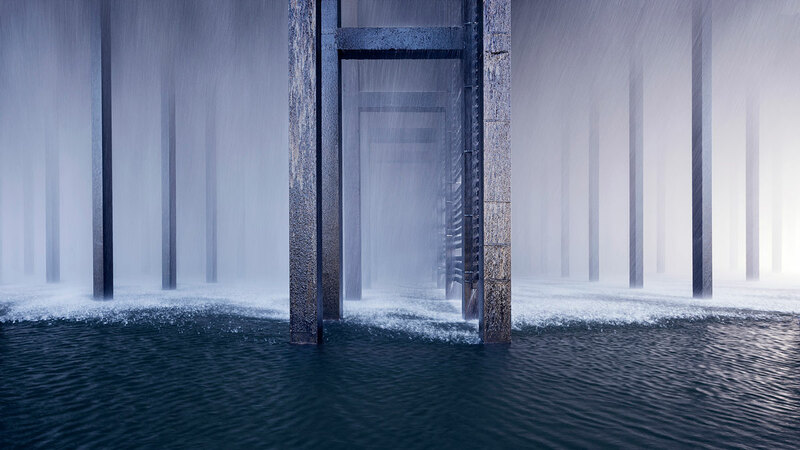 Inside the belly of an active cooling tower: billions of water drops fall down while releasing heat to the environment. Belgium. 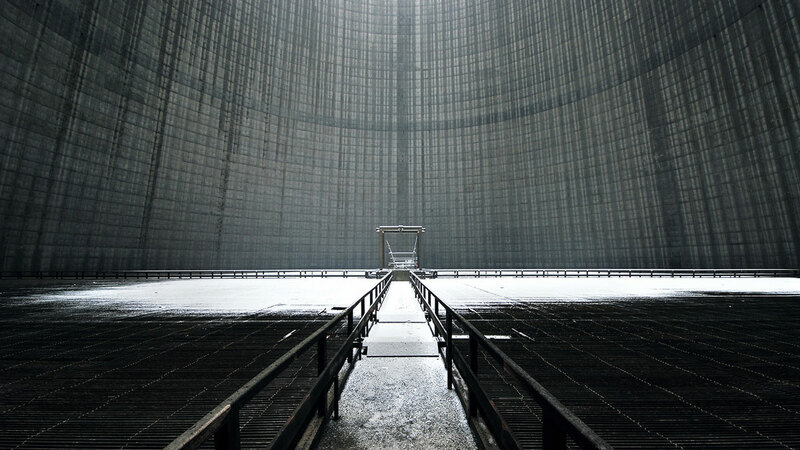 A structure that resembles the look & feel of a cooling tower: this is the view inside a gasometer, an industrial recipient used for the storage of natural gas. Belgium. 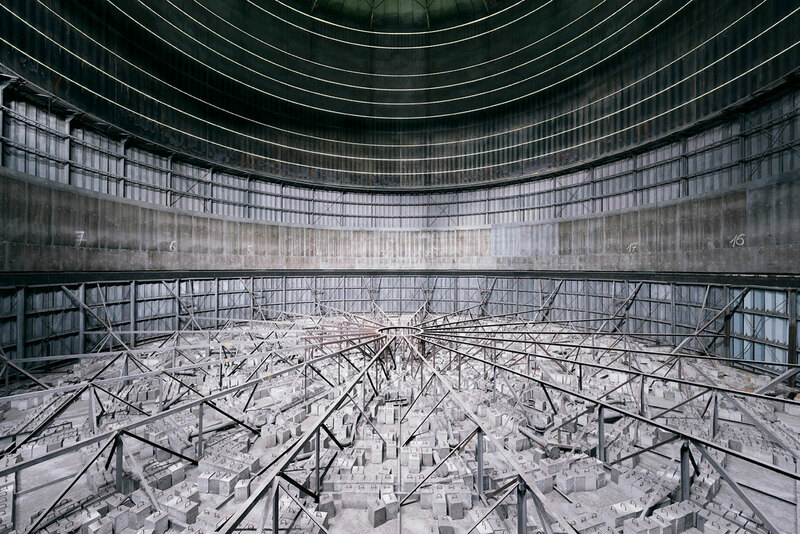 The spectacular view inside a decommissioned gasometer in Germany, looking upwards. The air vents at the top dome create natural ambient light. Gasometers can reach heights of 150 meters. 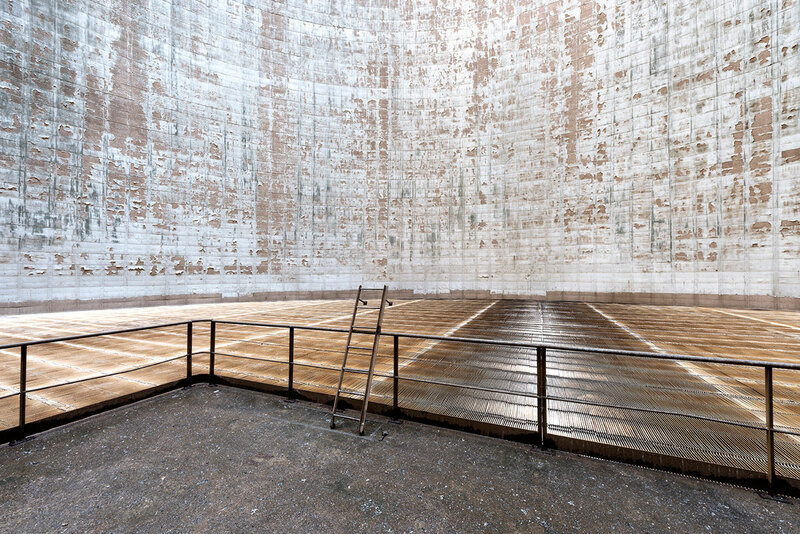 Workers left behind a ladder in this cooling tower scheduled for maintenance, France. 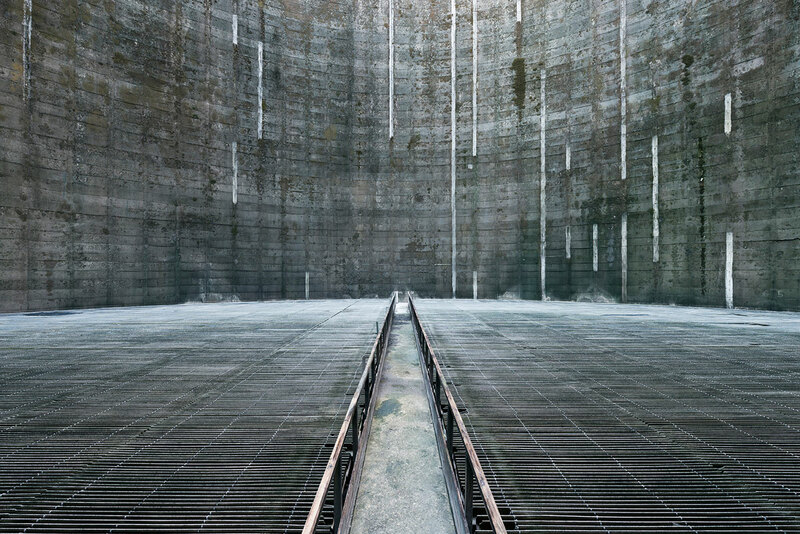 Matrix-like patterns are seen inside this dysfunctional cooling tower in Germany. 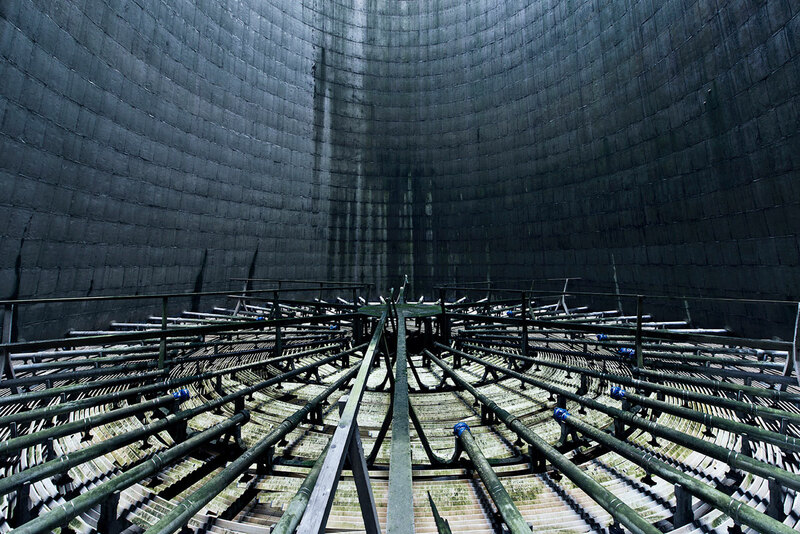 Snow particles cover the interior mechanism of an abandoned cooling tower in Belgium. 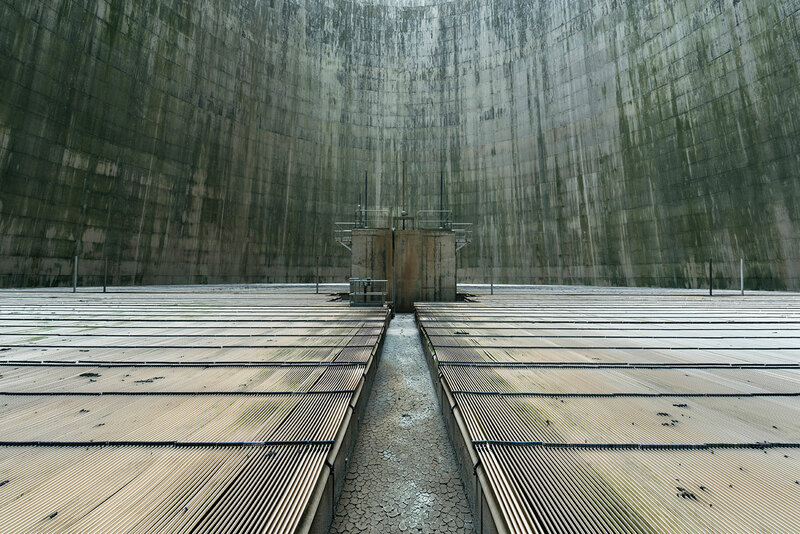 Warm moist air rises from a central outlet inside an active cooling tower, Belgium.